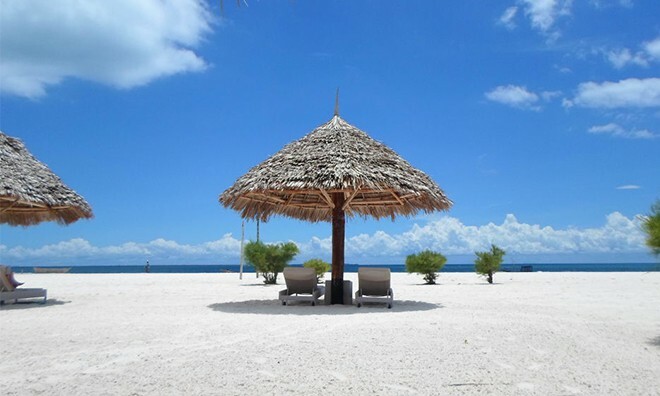 Gold Zanzibar Beach House and Spa can very well be a synonym for Paradise. 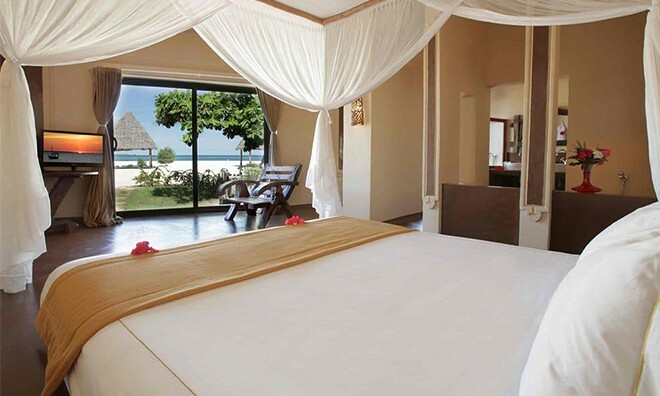 The 67 room Zanzibar hotel stretches across an oasis of seclusion, privacy as well as pristine beauty. There, it sparkles with glamour, flanked by the still, calm beaches of Kendwa, a beach on the North West Coast of Zanzibar. 55 kilometers from the International Airport brings you into the doors of this heavenly hotel. 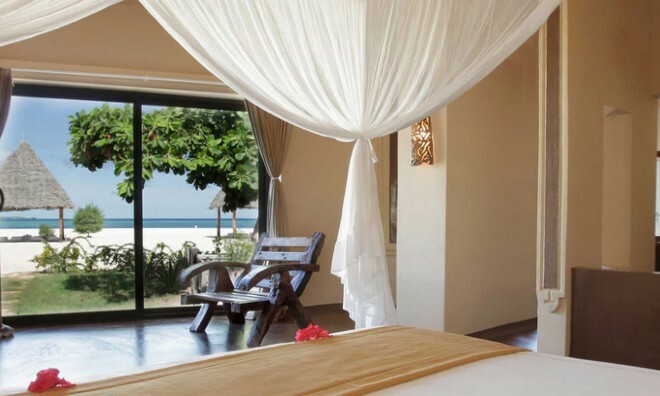 Get your pampering beauty sleep in the Deluxe Ocean View room, the Deluxe Garden room or the Beach suite. 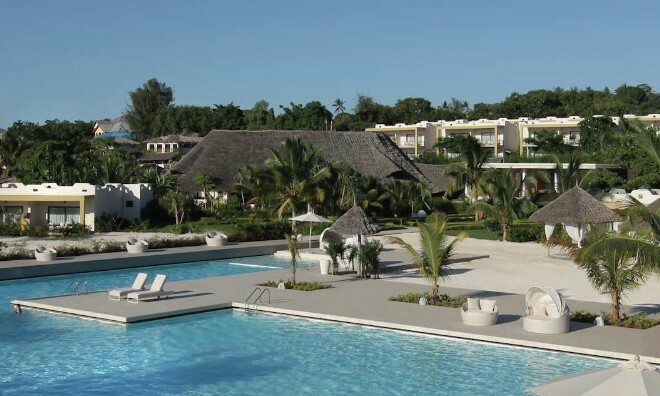 It wouldn't be called Gold Zanzibar Beach House and Spa if the in-room facilities were not finely polished, so that's why this Zanzibar Beach Hotel and resort has facilities which include: bath with a separate shower, hair dryer, ventilation systems, Plasma TV, sitting area and mini bar. Its the perfect destination for Honeymooners, adventure seekers families as well as single travelers . For a more intimate and romantic hideaway, the Luxury villa retreats ooze exoticness offer the highest level of privacy. 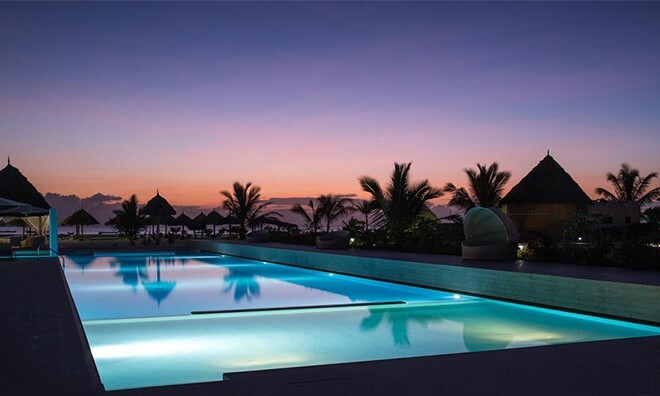 With African, Italian or Arabian inspired exteriors, the villas are infused with Zanzibar' exoticness. And if wide verandas, tents and the beach, room service, a private butler and long soaks in the Jacuzzi spell 'Honey moon in Zanzibar' to you, then this is the perfect accommodation option for you. 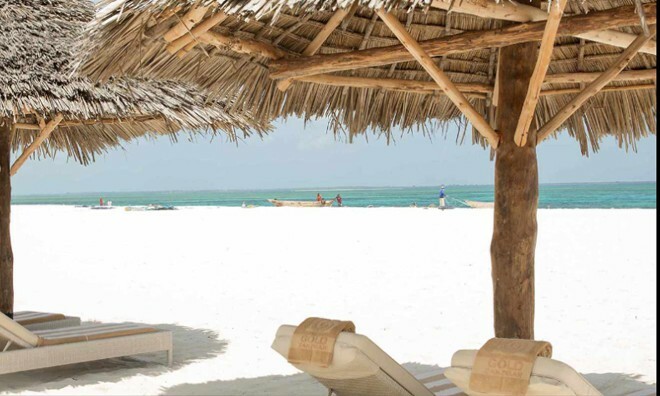 The Gold Zanzibar beach house and Spa serves some of the scrumptious delicacies that Zanzibar, Tanzania has to offer in their 4 hotels. 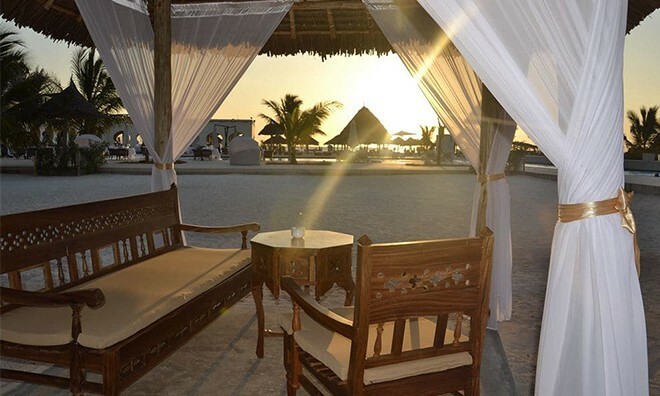 The Kilimanjaro, Sultan bar, Gold restaurant and Ocean Dhow gives you a bite into Zanzibar culture, literally, while providing you with spectacular views. The spa is a retreat within a retreat, complete with gymnasium and many beauty treatments and therapies. The baby sitting services at your request, allows you to get wet on the hotels water excursions such as the Dive centre, canoes, sunset cruises, boats, deep sea fishing and other water sports. 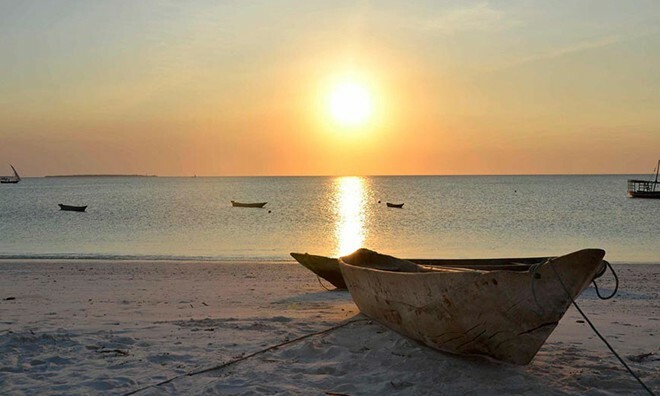 So what will you do when you find yourself in Zanzibar? Go for the Gold Zanzibar Hotel. 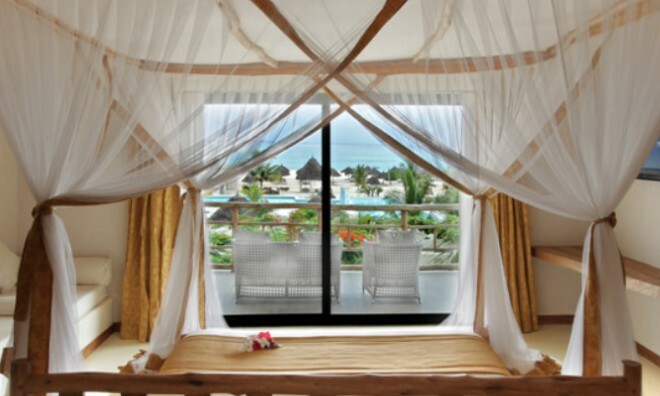 Why not share your experiences and reviews with the community and write a review for Gold Zanzibar Beach House & Spa.